We seek to write the small-to-medium sized Inland Marine risks. Coverage for the cost of re-establishing records of accounts receivable, as well as the actual loss due to inability to collect sums due, resulting from insured loss or damage to these records. 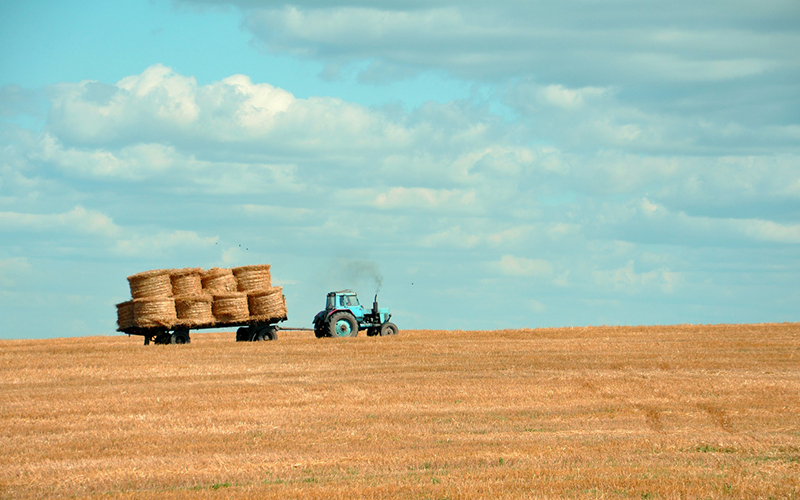 Coverage for mobile agricultural machinery and equipment used in the regular operation of a farm. This includes any attached or unattached accessories, as well as tools and spare parts designed for use with the mobile equipment and machinery maintenance and operation. Covers animals for death or destruction only, due to a covered peril. Disease is not covered. Coverage for property of customers in the care, custody or control of a bailee. Examples include, but are not limited to, dry cleaners and laundry establishments; tailors; appliance, computer, mobile equipment, shoe and watercraft repair shops. Buildings in the course of construction. Coverage can be written for new ground-up construction, renovations and remodels. Includes building materials and supplies located at the construction site, while in transit and storage at other locations. Soft Costs, Business Income, Rental Value and/or Extra Expense coverage available. Business income and/or extra expense are available for all applicable inland marine classes. We will not write Business Income and/or Extra Expense without corresponding inland marine coverage. Coverage for computer equipment, data and media associated with computer systems. Air conditioning and fire suppression equipment used exclusively with computer equipment is covered along with computer equipment, data and media belonging to others that are in the insured’s care, custody and control. Contractors Equipment provides broad property coverage for machinery, equipment and tools used by contractors. Equipment includes, but is not limited to, tractors, cranes, graders, forklifts, front-end loaders, backhoes, bulldozers, tools and similar equipment that is mobile. Coverage on various types of property while on exhibition at trade shows, expositions, fairs, etc. The primary purpose is to provide coverage for the insured’s property or for property of others in the insured’s care, custody or control at dis-play and exhibition sites away from the insured’s location. Coverage for schedules or items of Business Personal Property that would be considered collector’s items or one-of-a-kind items such as paintings, antiques, statues, or stained glass not installed as part of the building. We do not want to write fine arts dealers. Our intent is to write risks that may have paintings or fine arts on display—such as a restaurants, churches, etc. This coverage does not apply to exhibitions at fair grounds or on the premises of any national or international exhibition. Coverage for golf carts that are rented or owned by the insured for business purposes. Golf carts licensed for road use are prohibited. Covers personal property intended for installation in, or erected or fabricated at, buildings being renovated, up-graded or remodeled. The insured is usually the contractor doing the installation and the property can be owned property or property of others in the insured’s care, custody or control. Coverage is for any property that will become a permanent part of the project that is on the construction site, as well as at temporary locations and in transit. Coverage is intended for miscellaneous property owned by the insured that does not remain at a fixed location. Examples would be lighting and sound equipment, portable medical equipment and DJ equipment. Coverage for the amount of the prize if a hole-in-one is made, basketball shot or field goal kick is made, or a record fish or tagged fish is caught. Covers neon, fluorescent, automatic or mechanical electric signs; lamps; street clocks and similar property of the insured’s or in the insured’s care, custody or control. Coverage for single/one time shipments of commercial goods or general merchandise while in transit. This can include personal or household goods. Coverage is provided only while goods are in transit by a specified vehicle. Coverage for unmanned aircraft systems (UAS) owned by the insured and used in precision operations (i.e., aerial im-aging, data acquisition and surveying). Imaging includes photographic, video and infrared images. Unmanned aircraft is the flying portion of the system, either fixed-wing or rotary-wing and flown by a ground control system, or autonomously through the use of an on-board computer, communication links and any additional equipment that is necessary for the unmanned aircraft to operate safely. It is not designed to be controlled directly by an individual from within or on the aircraft. Unmanned aircraft support equipment is the control station, data links, telemetry, communication and navigation equipment necessary to operate the unmanned aircraft. Desktop or laptop computers and cellular phones are not considered support equipment. Covers documents or papers owned by, or in the care, custody or control of the insured. Valuable papers and records include, but are not limited to, documents that are in-scribed, printed or written, including manuscripts, books, deeds, films, maps and mortgages. Application: ACORD 145, Accounts Receivable/Valuable Papers.